Using a stand mixer, cream together butter, sugar and vanilla until fluffy. Add eggs, one at a time, mixing well between each addition. Mixing on low speed, add the flour to the butter mixture, 1 ½ cups at a time, mixing until completely combined. Flatten the dough into a disc shape, wrap in plastic wrap, and refrigerate for 2 hours. Preheat oven to 350°. 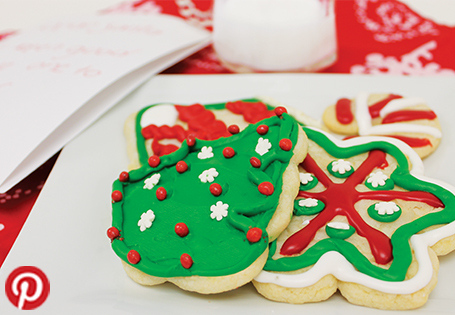 Roll the dough about ½-inch thick and use cookie cutters to cut out shapes. Bake on ungreased cookie sheets for 12 minutes. Let cool completely. Decorate with your favorite icing, if desired.